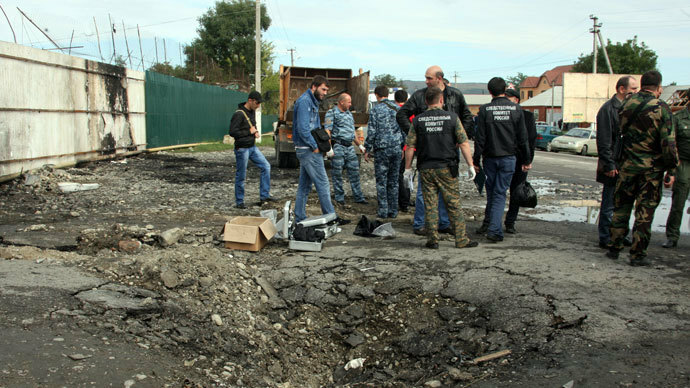 Explosive experts estimate that the bomb detonated in the Sunzhensky District of Chechnya was equivalent to 60kg of TNT in power. The attacker was trying to drive in through a checkpoint, but was stopped at a road barrier when one of the guards thought the car was suspicious. The bomber then set off the explosive device, obliterating his vehicle and sending shrapnel and debris flying with great force. The attack killed 3 officers and injured four others. The blast wave caused damage to the police station and nearby houses and left a three-meter-wide and one-meter-deep crater. Five hours later police in Ingush Republic detained a young man armed with an assault rifle. He was caught just across the border from Chechnya in the Sunzhensky District, which shares the name as its Chechen counterpart. The detainee was wearing a suicide vest made from anti-personnel mine, police found after searching. 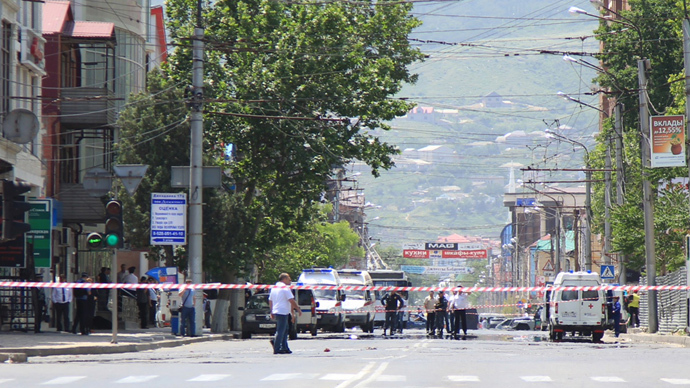 Also in Ingushetia’s Sunzhensky District a suspected terrorist set off a bomb in his car after police stopped it. The blast followed a chase in which two policemen were injured by gunfire. 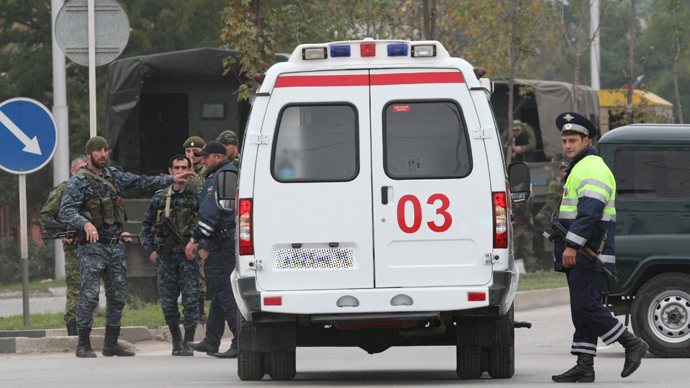 Ingush law enforcers suspect that the Chechen suicide bombing may have been organized by the same militant group which sent the bomber and the detained man in Ingushetia, Itar-Tass reported citing a police source. The source pointed to a gang led by Beslan Makhaury, which operate from mountainous forests at the Chechen-Ingush border as the likely culprit. 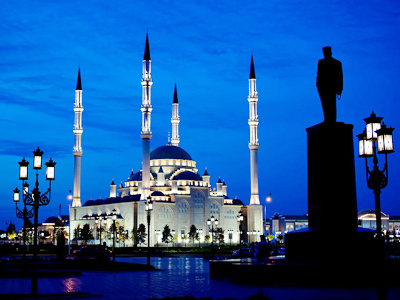 The bombing in Chechnya was the first of its kind this year. The republic, while still suffering from militancy, has been improving its security over the past years, especially if compared to other troubled republics in Russia’s North Caucasus.